This latest Humble Monthly is a bit different, as it's giving you a choice for the early unlock games so Linux gamers can grab Rise of the Tomb Raider. For the first time, they're allowing you to pick between the current three early unlocks (which sadly aren't for Linux) or you can replace them with Rise of the Tomb Raider (you do so after you subscribe). You will still get whatever games they reveal later on, but thanks to this option it's good for Linux fans. 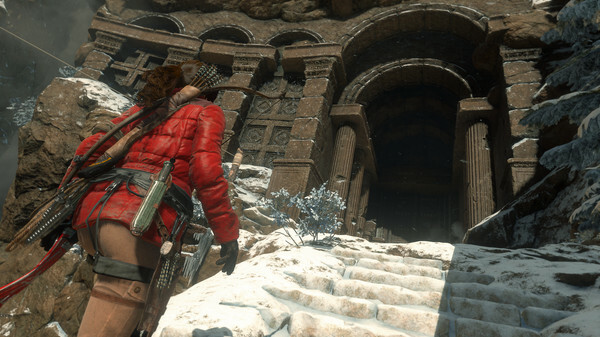 For $12, Rise of the Tomb Raider is basically a steal. I've looked around and that might actually be the cheapest it's been so far. You do also get access to the Humble Trove, which had 30+ Linux games last time I counted. Find it on the Humble Monthly. ThePierrasse Does that include the Season Pass? I imagine it's just the base game without DLC. I would almost lay money on the fact it does not have the DLC, a friend sent me his Tomb Raider code from Humble monthly and it did not have any of the DLC included at all. So I'm figuring this one will be the same way. I already have it so tales of berseria it is for next month, even though I don't have a windows install nor plan to anytime soon. It should be named as " 20 year celebration pack "
What I can figure out is if both offered early unlocks are part of the same monthly bundle, you just choose which one you unlock first? Because I have no interest in the other 3 games, which devalues a bundle for me. plus other non-Linux stuff (mostly unclaimed) such as Pathological Classic, The Surge, Forged Battalion. Unfortunately, I will pause the September month. I already own Rise of the Tomb Raider and the other three front-runners don't run on my OS. Humble Monthly is pretty cool sometimes. I was meaning to pause August and forgot / thought I had more time, but wasn't disappointed when Sudden Strike 4 and Kona were included. But already having Rise of the Tomb Raider, I'm definitely going to have to remember to pause September.